Background checks are mandated by federal and state governments for a wide array of fields — from law enforcement to education, healthcare and transportation, and even volunteering. Anyone seeking employment or licensing in a field that involves the physical welfare of another person may be required to get a criminal background check. Even individuals wanting to travel outside of the US on a work or student Visa will need an FBI fingerprint criminal history background check. Anyone needing his or her background verified to prove identity for legal reasons, similarly, needs a background check. The fingerprinting industry is booming, and it will continue to grow in a security-conscious society. 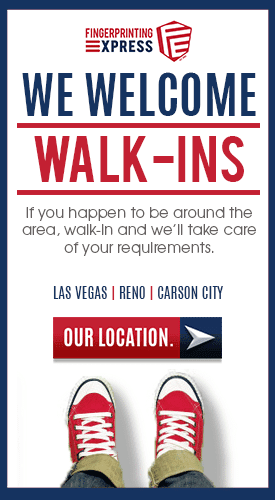 • The individual being checked provides personal identifiers, such as name, date of birth, height, and weight. This information might not be truthful or accurate. • Crimes committed under a different name will not show up in a background check. (It is common for criminal offenders to use false or alias names and dates of birth. • “False hits” can come up from persons sharing the individual’s name. In most cases, false hits may take more than 30 days to clear up. In 2012, the Federal Trade Commission (FTC) filed a complaint alleging that a name background-check company failed to follow reasonable procedures to prevent obviously inaccurate information from being provided to employers and — in many cases — included the records of the wrong person. The FTC contended that this led to consumers being denied employment or other employment-related benefits. A lawsuit followed. • The prevalence of incorrect information lurking in the public records that background-check companies use for reports led to the creation of the Fair Credit Reporting Act. The law requires these companies to notify people in a timely manner when their data is sent to an employer so that inaccuracies can be challenged. • The FBI does not accept name-based checks for noncriminal justice inquiries. • State police may not underwrite the accuracy of a name-based check. These agencies ascertain that fingerprints — each set unique to just one person — are the only positive means of identification. • Individuals who have used other names, dates of birth or other identifying information cannot conceal histories as they can with name-based background checks. • Fingerprints allow for a biometric (human-body characteristic) search of criminal history databases, including the FBI’s Next Generation Identification database. NGI stores data on more than 75 million subjects, including from criminal cases, and from civil submissions from authorized background checks. • Livescan technology — the most accurate form of fingerprinting — eliminates errors associated with old-fashioned, ink-based fingerprinting, which can yield smudged or smeared results. 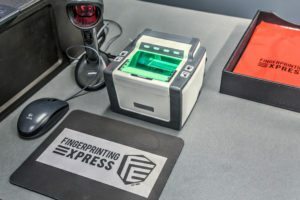 Fingerprinting Express employs Livescan technology. • Biometric data is accurate and the best way to protect our vulnerable populations. • If someone is arrested for a crime those charges will show up on a fingerprint criminal history report. • Biometric data is accurate, honest and the best way to protect our vulnerable populations.